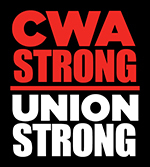 Over the past year, CWAers have been battling with Nokia to prevent the company from laying off all of the bargaining unit members and replacing its installers with subcontractors. Last week, the National Labor Relations Board Region 9 Director found that CWA's concerns about the company's efforts to frustrate the process and take work away from CWA members were meritorious. 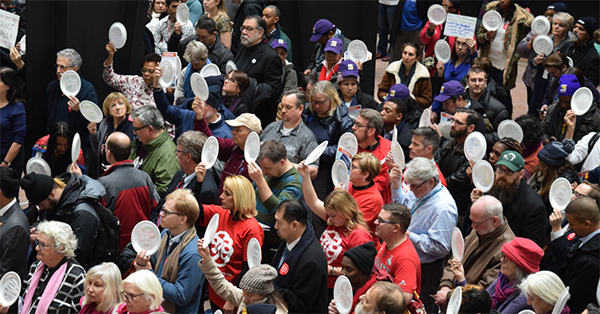 Nokia has refused to provide the CWA bargaining committee with the information they need to develop comprehensive responses to the company's proposals and has refused to bargain in good faith over plant closings, layoffs, and subcontracting. In addition, CWA Local 4390 President Art Plas raised the alarm when the company short-timed and temporarily transferred his members around the country while sending the work they could be performing in Ohio to subcontractors in other states and countries. "We will continue to do whatever it takes to fight for our sisters and brothers at Nokia," said Lisa Bolton, T&T Vice President. "I am so proud of the bargaining team and the locals for mobilizing and remaining rock solid and letting the company know: No contract, no peace!" While the bargaining team awaits the information from Nokia, the local leadership is busy mobilizing members to continue fighting for a fair and equitable contract that protects retirement security. Billing itself as a savior of newspapers, vulture hedge fund Alden Global Capital has made a $1.36 billion hostile takeover bid to acquire Gannett's chain of more than 100 local papers. If successful, the move would make Alden's Digital First Media the largest newspaper chain in the country (in terms of circulation), while extending Alden's heavily criticized slash-and-burn strategy to hundreds of U.S. communities. The NewsGuild, which represents workers at 12 Digital First newspapers, issued a statement Monday opposing the proposed takeover. "A purchase of Gannett by Digital First Media would result in a dangerous loss of local reporting, more consolidation, and the strip-mining of Gannett's newspaper assets at a time when the industry demands owners who are committed to reinvestment in journalism and when citizens need local news coverage more than ever," the statement reads. 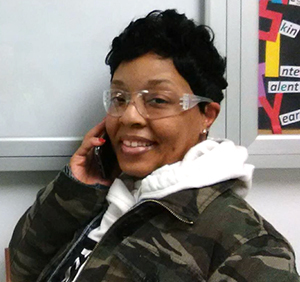 IUE-CWA members from Locals 84758 (Dayton), 84725 (Sydney, Ohio) 84727 (Cleveland), and 83761 (Louisville) joined thousands of other CWAers who made phone calls to their members of Congress on last week's Day of Action to push for the passage of the For the People Act. The bill contains reforms essential to fixing our political system including voting rights, money-in-politics, redistricting, and government ethics reforms. It's not too late to add your voice! Call 1-888-894-6720 to ask your member of Congress to stand up for our democracy.